The 2018 North American International Championship is this weekend, July 6-8, in Columbus, Ohio, USA. It is the penultimate tournament of the 2017-18 season -- only the World Championships remain. At 1534 Masters, this will be the largest Pokémon TCG tournament of all time, eclipsing last season's NAIC (1356 Masters). On stream Round 1, Robin Schulz debuted a control-style Zoroark-GX deck with Oranguru, Team Flare Grunt, Delinquent, Counter Catcher, and Weakness Policy. It's possible other Limitless team members are playing the same deck, and it could even be the "surprising" deck mentioned by Reklev. As of Round 6, this is confirmed to be Reklev's deck choice. Some Brazilian players including Gustavo Wada and Nathalia Godinho Fernandez are playing a new Quad Hoopa SHL build. Day 2 players and decks. 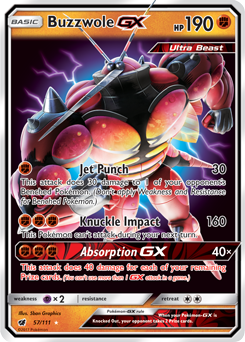 Several well-known players including James Arnold, Clifton Goh, Aaron Tarbell, and Dustin Zimmerman, are piloting a rogue Yveltal BREAK deck. Two notable players who needed to earn CP at this event to get their Worlds invites have done just that: James Arnold and John Kettler. Two others, Eric Gansman and Alex Wilson, fell just short. 15 of the NA Top 16 spots are now guaranteed. Alex Hill can win the tournament to knock Frank Percic out of 16th place. Jose Marrero will finish a mere 16 points shy of Percic.